Day 5 – Attended a medical camp in Lhoong village, accompanying a Family Care ambulance which operates as a free mobile clinic, along with a team of doctors and nurses. In addition to surveying how this medical program is working, we discussed logistics for the next phase Family Care Indonesia is establishing, the first 911-ambulance service in the area. We also visited the location of a permanent medical clinic that we are building and stocking, which will become the base of operation for this mobile medical operation. 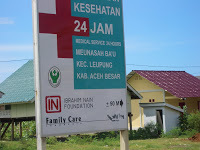 The facility is the only medical clinic in all of Aceh province offering free medical checkups, care, deliveries, medicines, ambulance service, and nutritional and hygiene education. Besides the services offered, this will be the only medical facility outside of the main city that is available 24/7. 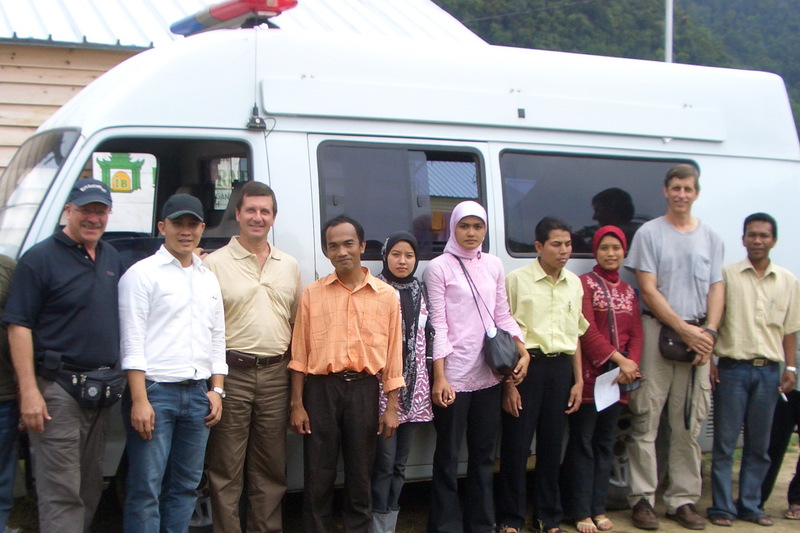 Additionally, we had discussions about another FCF development project in the same area of Lhoong, setting up a fish farm and restaurant, as a means of providing livelihood and jobs for the village. Visited the beautiful beach-side location where the restaurant will be built, along the new highway being constructed with a USAID grant. During our down time, I had a chance to see a Sumatran tiger up close (see photo), that had just been caught in a nearby village after mauling a couple people. All photos and text © 2009 by Grant Montgomery. Not to be used elsewhere or replicated without permission.